The Air Force’s “strategic pause” on much of its voluntary force-shaping programs created a great deal of concern from many airmen, who feared they were about to be left in the lurch. Some worried that the pause will delay their exit from the Air Force and complicate their efforts to accept job offers from the private sector. In this week’s Air Force Times, we have an exclusive interview with Lt. Gen. Samuel Cox, deputy chief of staff for manpower, personnel and services, in which he lays out exactly what is behind the pause, what it means for you, and dispels some persistent rumors about the force management programs. The issue also has an in-depth map outlining where aircraft cuts will hit, state-by-state and base-by-base. And a new survey shows troops have deep doubts on the Pentagon’s new proposal for overhauling troops’ retirement plan. Pick up your copy from newsstands on Monday. 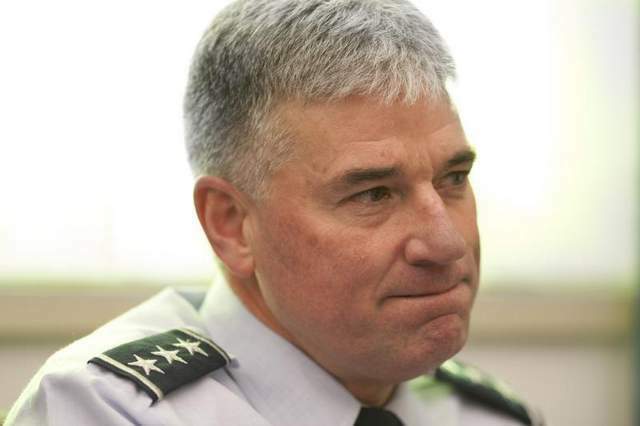 The chief of personel n el a 3 star gen Save money retired the 3 star gen give the job to a Col.